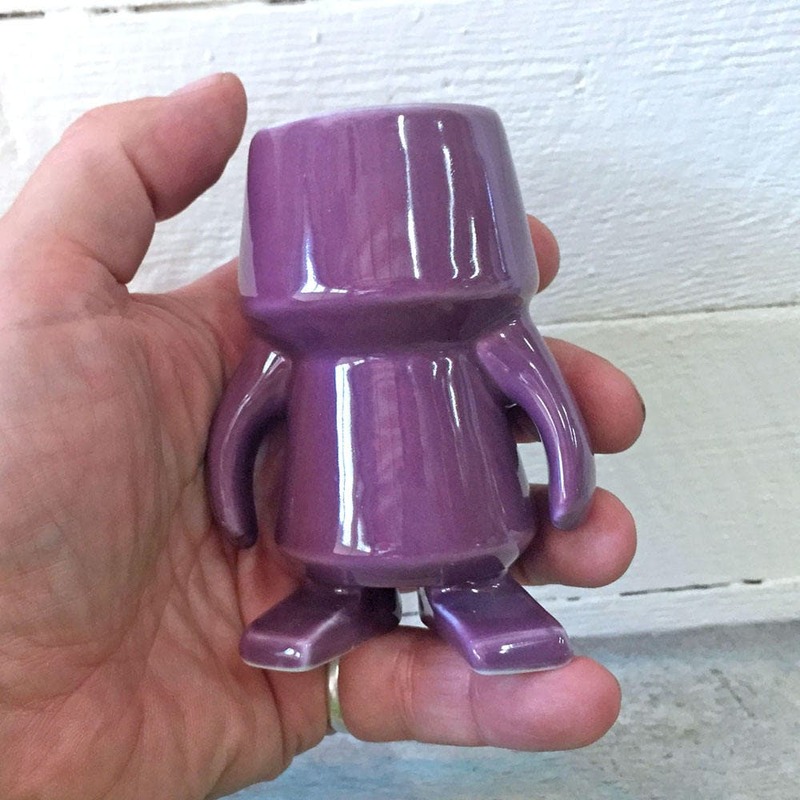 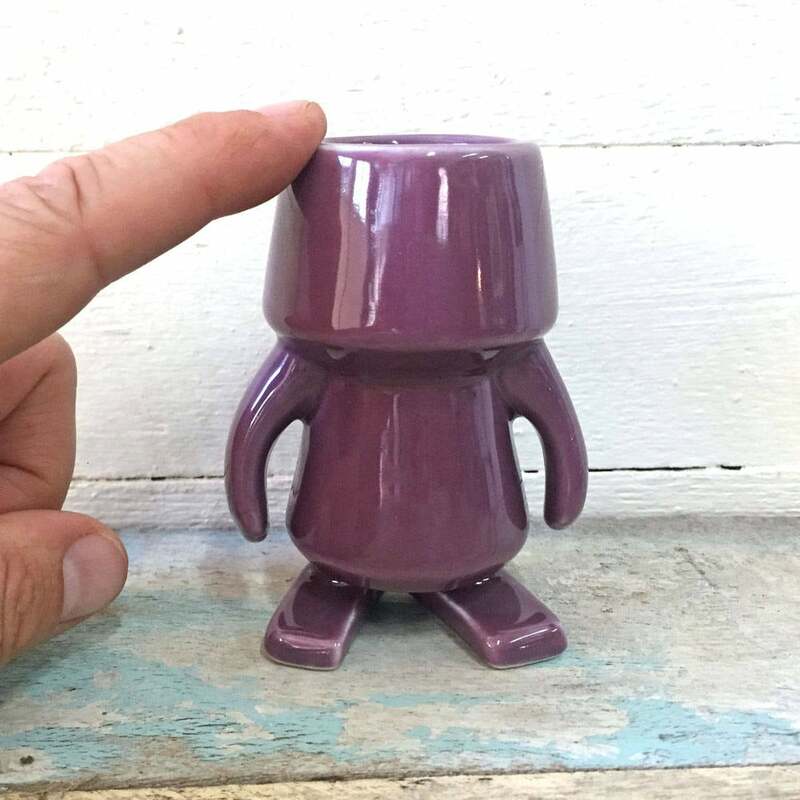 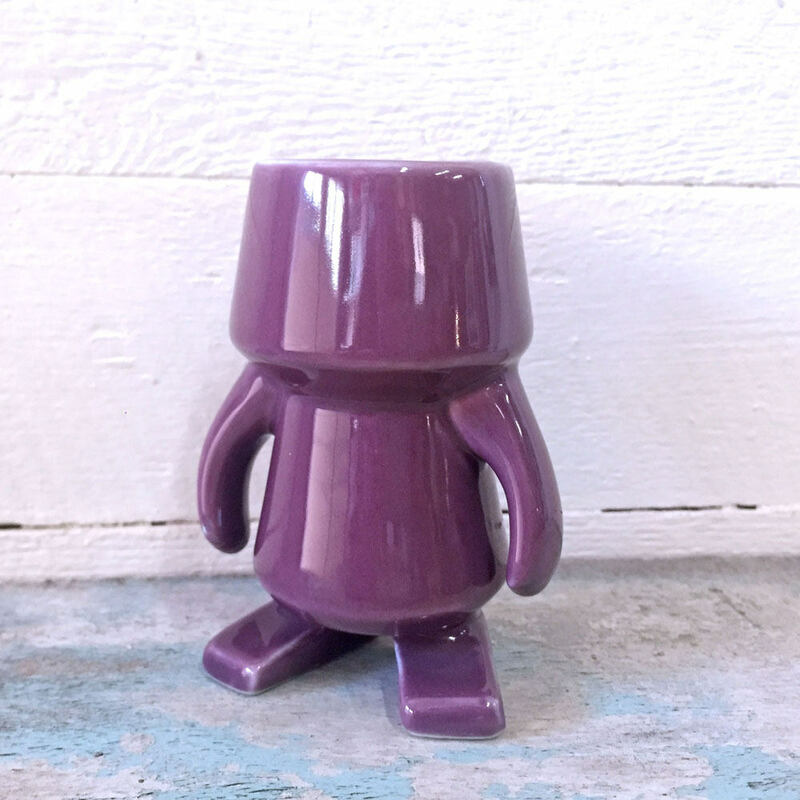 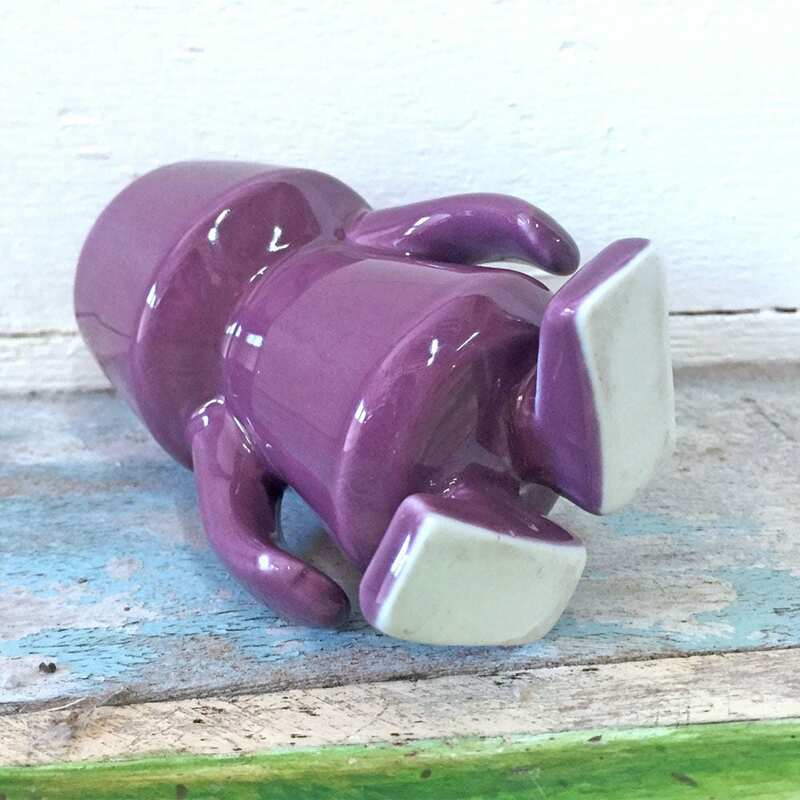 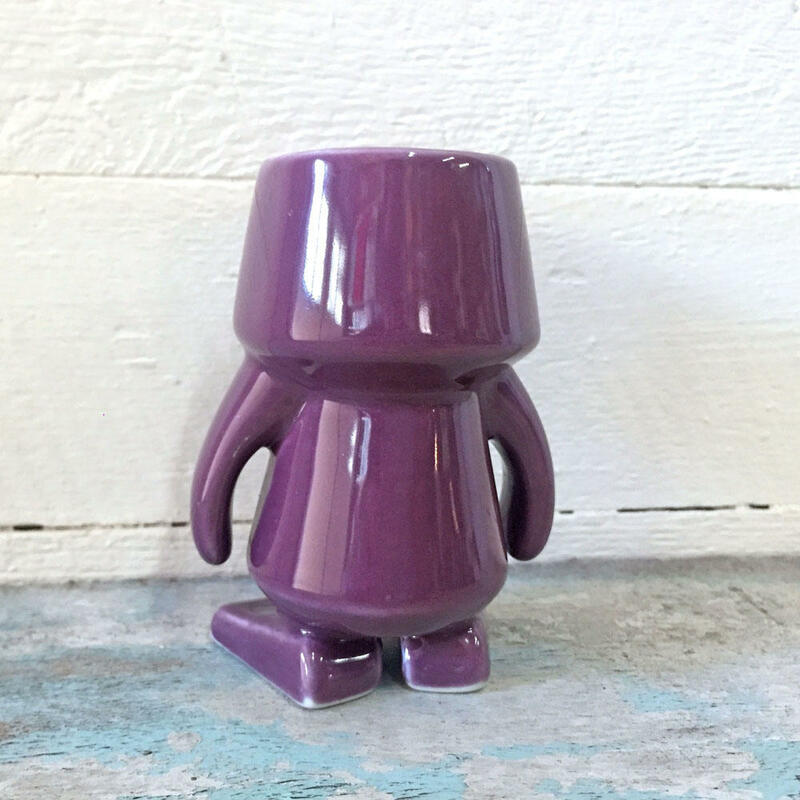 Cute purple robots made of ceramic. 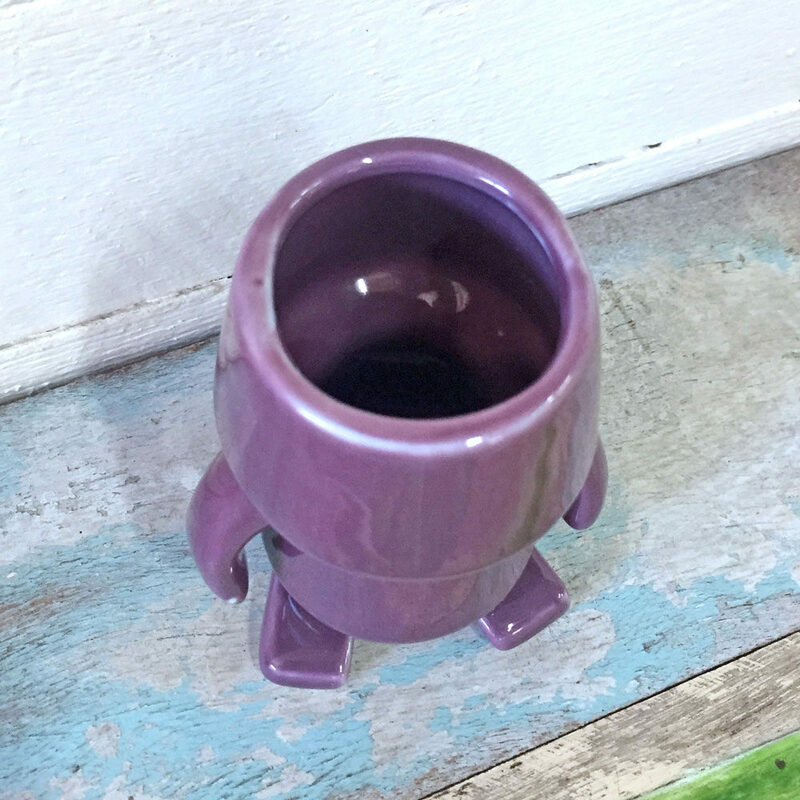 Great gift idea and will add a bit of whimsical to any window sill. 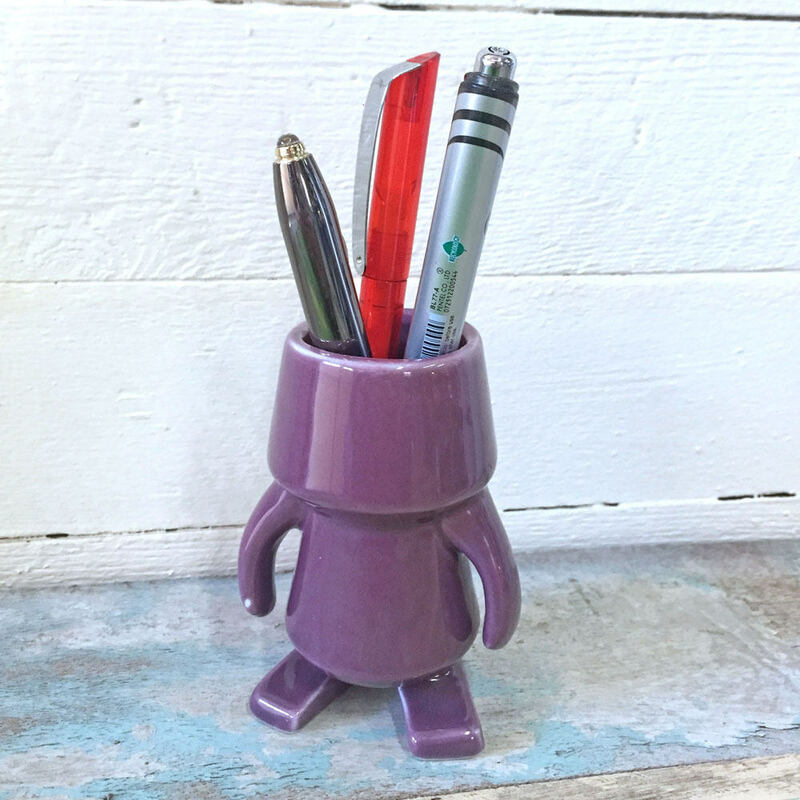 The robot can hold a plant/flowers or can be use as a pen holder. 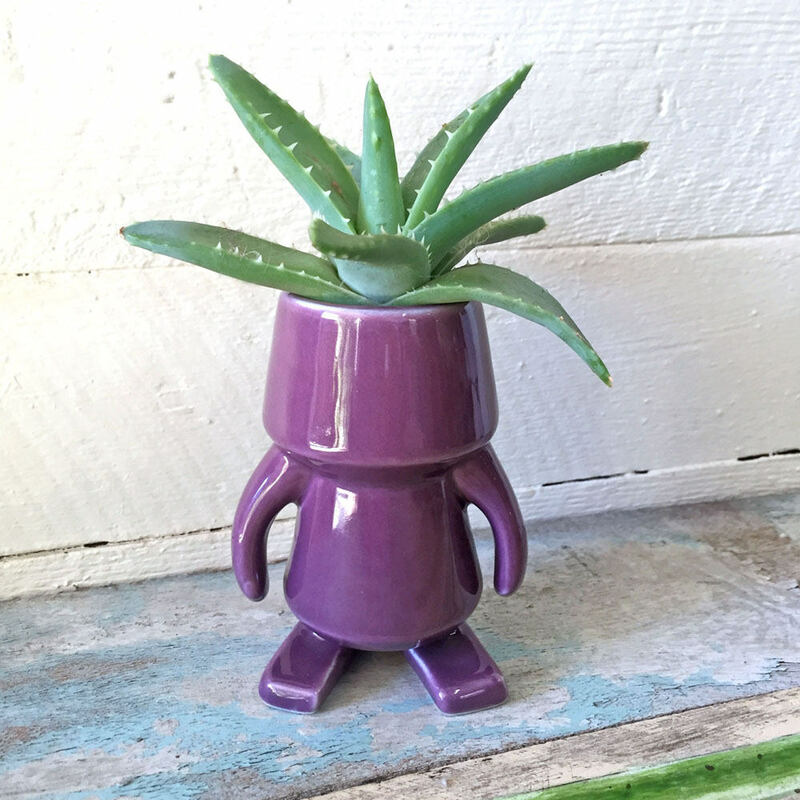 This robot is for decorative purpose, it has no draining hole at the bottom for a plant, but any succulent would work, and can hold water for fresh flower.